Book List - Welcome to Room 23! During the biography unit, students will be reading biographies in book clubs. We will utilize the "Who is...?" and "Who was...?" series for book clubs. Students will chose which biography they want to read. 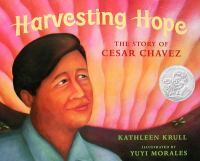 This beautifully illustrated picture book chronicles the life of civil rights leader Cesar Chavez. Beginning with his life as a young boy growing up on a farm in California, the book shows how struggles in Cesar's early life developed Cesar's character. His perseverance eventually led him to take charge and stand up for the rights of farm workers everywhere. Few people know how the Statue of Liberty came to represent the United States as a country that welcomes immigrants. This picture book introduces us to the life of Emma Lazarus, the author of the famous poem "The New Colossus," which helped turn the statue into a symbol of freedom and liberty. The poem was engraved on the entryway to the Statue of Liberty, and features the famous lines "give me your tired, your poor, your huddled masses yearning to breathe free." Caldecott Medal-winning artist David Diaz illustrates this true story of Wilma Rudolph, three-time Olympic gold medalist. This book documents Wilma's childhood, in which she suffered from scarlet fever and polio--leaving her left leg paralyzed. 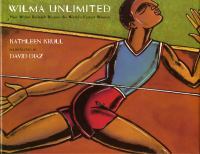 Against all odds Wilma went on to become one of the fastest women in the world. 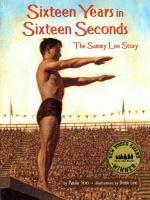 Olympic diver Sammy Lee was the first Asian American to win a gold medal. Before this achievement, Sammy experienced discrimination as a Korean growing up in the 1930's. Even though people of color could only use the pool one day a week, Sammy was able to rise above his challenges to succeed as a diver.